Thunderstorms rocked Taiwan on the final days of the Computex 2017 and with thunder comes lightning. 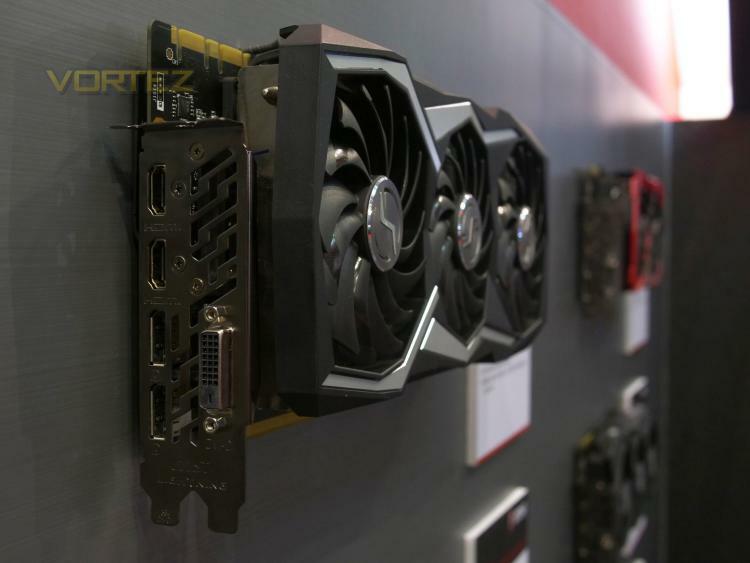 Computex 2017 was flooded with the latest technologies and innovations that brought in new and exciting products including the MSI GeForce GTX 1080 Ti Lightning Z graphics card. 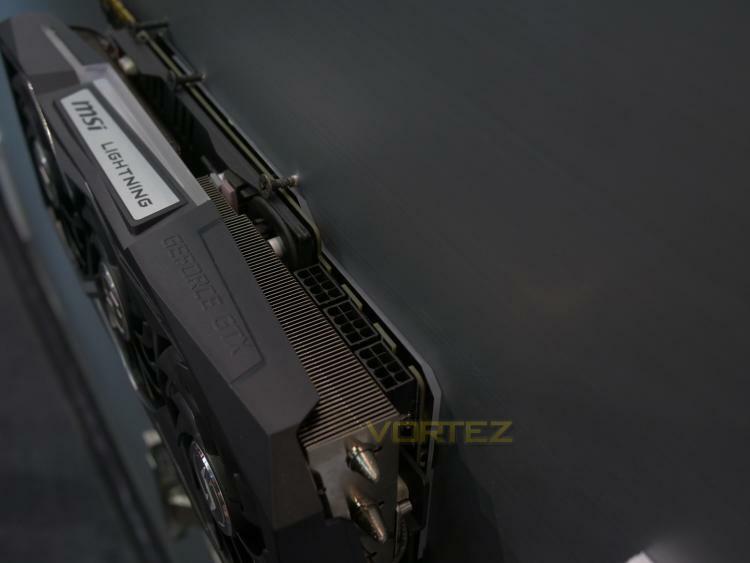 Only a few details has been released about the MSI GeForce GTX 1080 Ti Lightning Z graphics card but there seems to be some similarities with the previous generation MSI Lightning Edition graphics cards such as the massive heat sink with a triple-fan cooling design. Triple-fan cooling is rather rare with MSI graphics cards with TORX FAN 2.0 technology, even the current NVIDIA 10-Series MSI GAMING series cards only sport a dual-fan design. One could expect a more powerful cooling engine with the Lightning Series graphics cards. The black and yellow colour theme of the Lightning Series seems to be traded off with Black and RGB as the card features MSI Mystic Light RGB colour customization. The new GTX 1080 Ti Lightning Z is said to sport a Customizable Nameplate Design which is yet to be seen in action. The Lighting Series cards are the highest-performing variants that MSI offer per series with specifications built for extreme overclocking and record breaking. The card sports three 8-pin PCIe power connectors which gives us the idea it is certainly built for such purpose. MSI exhibits some of its new gaming notebooks at Computex including the GT75 TITAN, GS63 VR MAX Q, GE63 VR Raider Gaming Laptops. Watch the video below as we get a closer look at these new and exciting gaming notebooks from MSI.